The Thakral College of Technology is a marvel of architecture, fulfilling all the infrastructural requirements of an Engineering Institute. Acoustic design consideration has been taken into account during its construction. The four storied building presents a model of compact & functionally effective design. Well-Equipped laboratories function under various departments. Campus: The Thakral College of Technology is a marvel of architecture, fulfilling all the infrastructural requirements of an Engineering Institute. Acoustic design consideration has been taken into account during its construction. The four storied building presents a model of compact & functionally effective design. Well-Equipped laboratories function under various departments. The departments with well equipped labs with information display charts, educational software and reprogramming facilities create fertile ground for developing students. 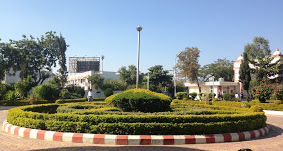 Faculty has succeeded in keeping an updated environment with timely gradation of resources and innovative teaching techniques. The thrust of the departments is on achieving technological excellence in their areas. Central library: Impressive Infrastructure, perhaps the only of its kind in Central India, houses spacious classrooms with latest teaching aids,well equipped laboratories and workshops. Largest Computer Lab with 700 DELL & IBM computers. Structured network LAN with 24×7 accessible dedicated 2 Mbps 1:1 leased line. Oriental Group provides one of the largest facility for Online Exams in Central India. Computers are highly configured for Advanced Software Projects.